Buy discs instore or at the new online shop Click here. Buy from NZ in $NZ. 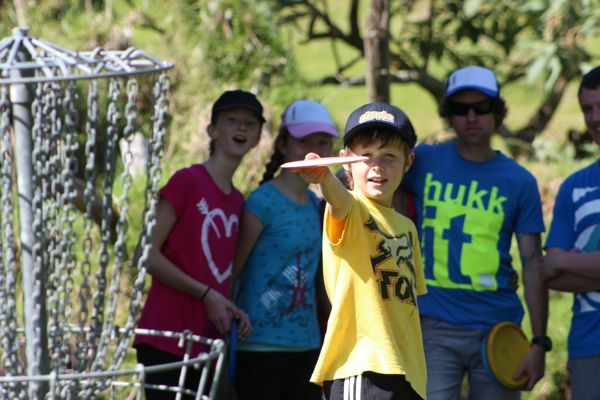 Green Markers – Beginner 18 Hole/Putting Course – Course suitable for ages 8 – 12 with adults. NO MAP NEEDED, PLEASE SEE MARKERS ON SITE. Blue Tees – Beginner – Suitable for beginners to Advanced players. Get hooked here! Red Tees – Experienced Players. Not recommended for beginners. 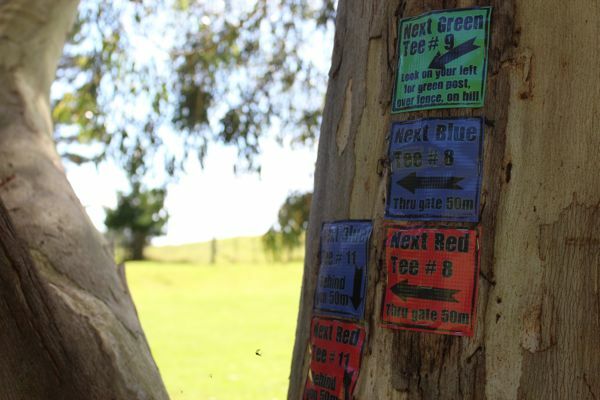 We recommend you play the Blue Tees 5-10 times before playing Red Tees. Black Tees – 18 Hole Pro Level – Recommended for ADVANCED players only. Hard, Technical, Long holes. – Lose your discs here! Fully upgraded in late 2017 with Par now sitting at 60! We recommend downloading these to your cellphones for ease of use when you are out playing. 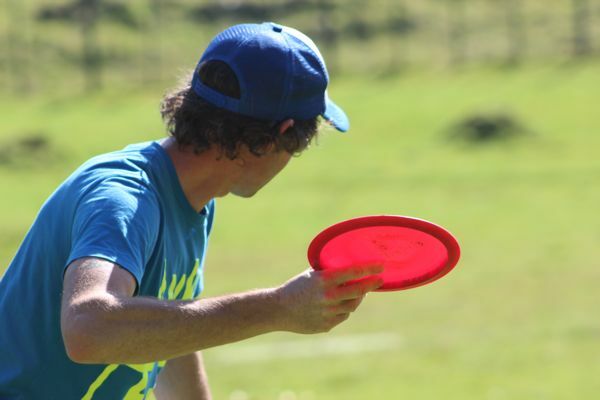 Frisbee or Disc Golf is fast becoming the best way to spend an hour in the sunshine. The principle of golf is the same but players throw a frisbee, not hit a little white ball with a long stick. It is nowhere near as serious as ball golf. 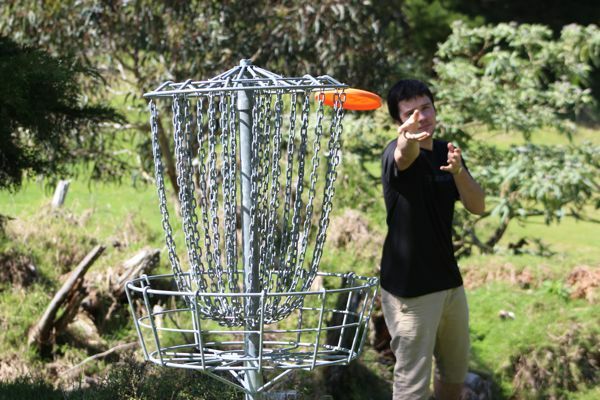 You throw from a Teebox and aim to get your frisbee in a target basket in as few shots as possible. The lowest score over the round wins. 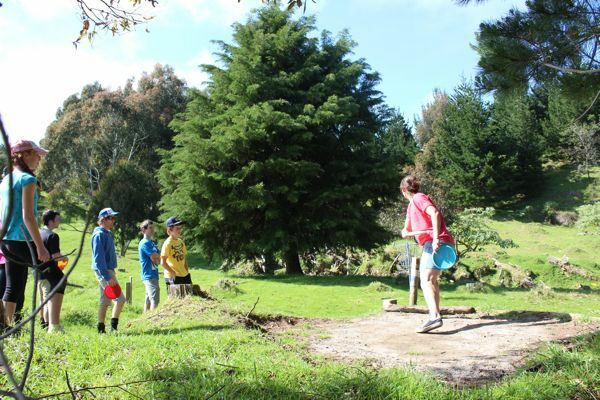 Here at Woodhill we are one of the longest running fully marked and basketed courses in NZ. We have multiple course options for different skill levels and attention spans. See above for maps and details. 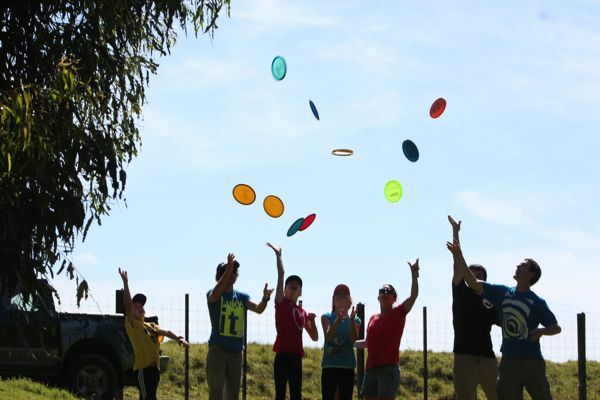 We hire a selection of good quality, specially designed Frisbee Golf discs and can cater for up to 80 people at a time. 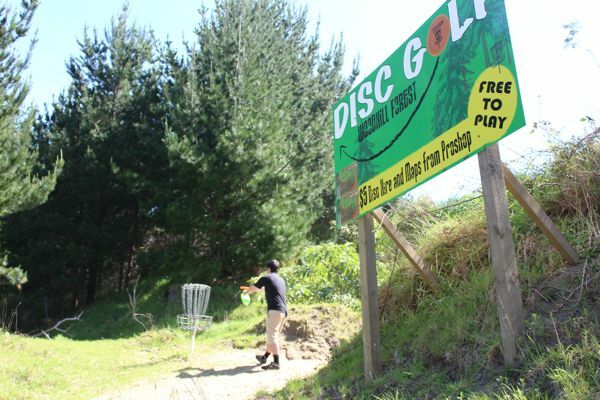 Disc Hire is only $5 and course entry is FREE. You can either come and play with a mate or two, or a large group. Everyone will have a blast. For more information and to hire your disc see the staff in the proshop. Warning this “Frisbee Golf thing” is very addictive. Click here to go to our “How to get here” map. 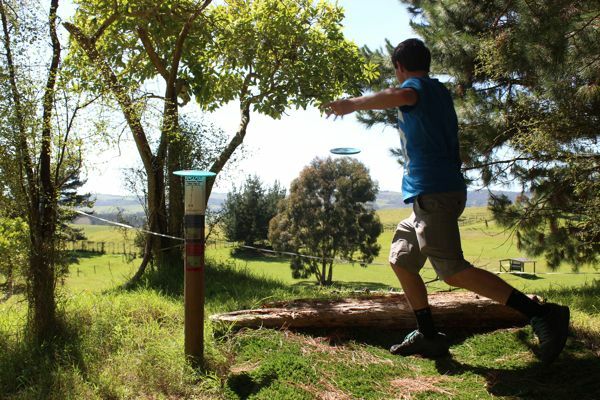 We are proud to be a part of Disc Golf New Zealand and Disc Golf Auckland.